Want it by Wednesday 24th April? Order within 3 days, 8 hours, 37 minutes and choose Royal Mail Tracked 24 Hour at checkout. 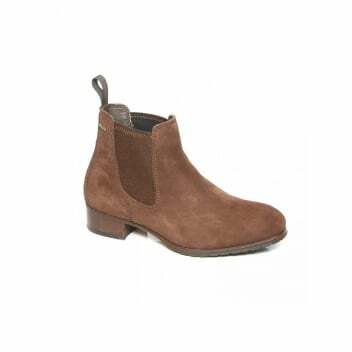 A Chelsea Boot is a beautiful thing, managing to be smart, casual, and stylishly on trend. Crafted from rich leather, this boot is as comfortable as it is chic. Being from Dubarry, you can be sure that it’s more than just a pretty face. With its water resistant DryFast-DrySoft™ leathers, GORE-TEX® membranes, and sturdy soles, these boots were definitely made for walking!